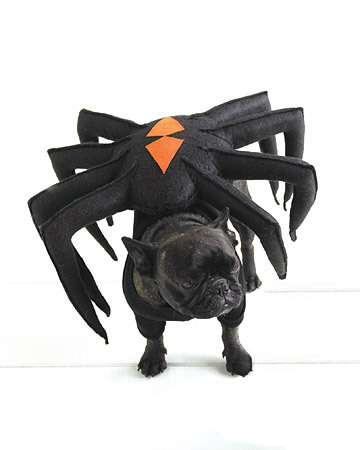 Martha Stewart has unleashed her latest ideas for canine costumes (and one feline one, too!) If you’re the crafty sort, start threading your needle and follow her instructions to outfit your dog for some four-legged trick or treating. This entry was posted on Monday, October 1st, 2012 at 9:48 AM. It is filed under Blog. You can follow any responses to this entry through the RSS 2.0 feed.